Today's men and women have to cope with the various stresses of a busy lifestyle. 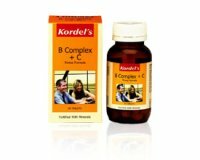 Kordel’s B Complex C, with added calming herb, helps us cope with the fast pace of life and keep the health up when stress is getting us down. 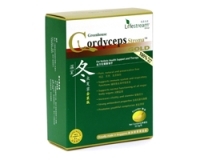 Take 1 tablet a day, after a meal. Vitamin B1, vitamin B2, vitamin B3, vitamin B5, vitamin B6, vitamin B12, vitamin C, folic acid, biotin, magnesium, calcium, passion flower.